Ask for a complimentary 14-day trial with a personalized tour. 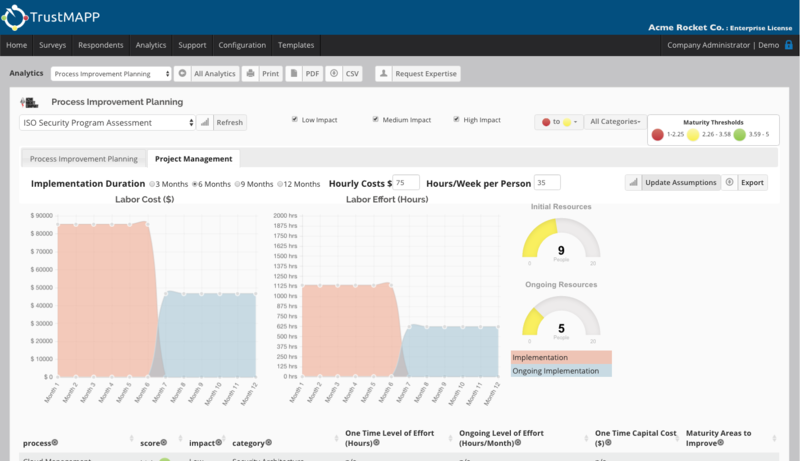 TrustMAPP® delivers maturity-based information security assessments, aligned with quantified risks, and delivers business-centered reporting and strategic planning. Map controls to processes and processes to risks. Discover how TrustMAPP® reduces assessment time, clarifies priorities with calculated costs and provides out-of-the-box remediation guidance while improving budget conversations with the board and executive leadership.